When they’re looking for complete services for garage doors, Battle Ground business and home owners call on Coast to Coast Garage Doors. We offer services that range from repair to installation and replacement. No matter what you’re looking for in garage doors, Battle Ground technicians from our company get the job done reliably, affordably, and fast. Get the garage door services you want! 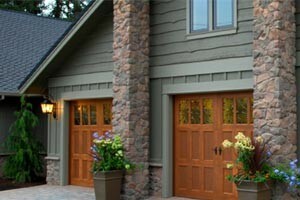 We carry brand name garage doors at affordable prices. Featuring 12 month warranties on all new installations. Receive professional installation from experienced technicians. Enjoy full service same day repairs. Take advantage of same day estimates. No additional charges on Saturdays. Garage Door Installation – For installation of garage doors, Battle Ground needs vary. We have a wide range of options for both commercial buildings and homes. Our steel and aluminum commercial options provide advanced protection. We can also install wireless opening and alert options allowing you to check on and control your door from anywhere. Our home doors provide great insulation and beautiful exteriors. If you need help deciding on the right option, our technicians will work with you to identify your needs, budget, and desires. We’ll find you the perfect selection of doors to choose from that meet your criteria. All doors are thoroughly tested after installation to ensure proper functioning, locking, and air tightness. Garage Door Repair – The need for repairs can vary depending on the severity of the damage. We repair problems due to physical, mechanical, and electrical damage to your door and its related systems. We always diagnose your door before beginning work. Occasionally damage is too severe or security is compromised, and a replacement may be the most cost effective option. We keep our work trucks stocked with necessary parts and tools. This allows us to quickly provide on the spot repairs. We even perform garage door spring replacements. These should always be handled by a professional because the springs can carry lethal force. Contact us for garage doors today! For every service, and every building, residents choose us for garage doors in Battle Ground. Call (360) 616-1545 or contact us today.